On February 4, Sen. Ryan Aument (R-Lancaster) and Rep. Thomas Mehaffie (R-Dauphin), and other members of the Senate-House Nuclear Energy Caucus, began circulating a co-sponsor memo asking their colleagues to sponsor legislation to update the state’s Alternative Energy Portfolio Standards Act to recognize nuclear energy for its significant contribution to this state’s zero-carbon energy production. No other details about the contents of the legislation were provided in the memo. 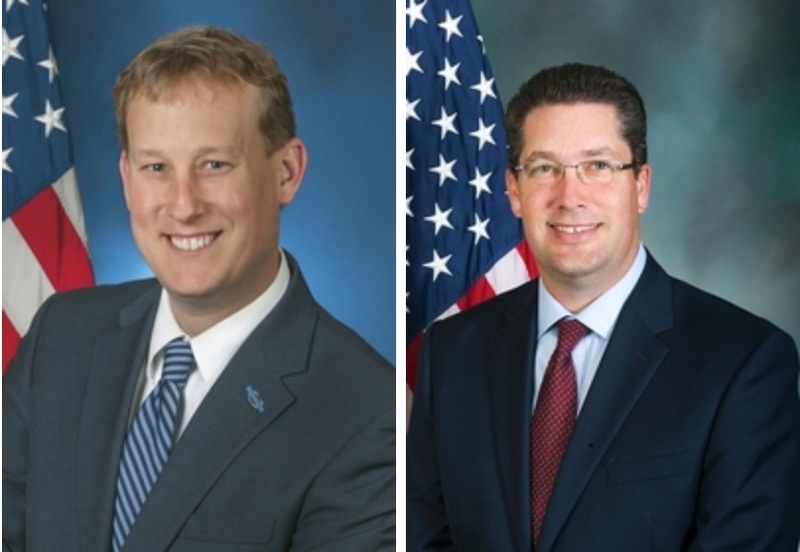 Sen. Aument and Rep. Mehaffie serve as 2 of the 4 co-chairs of the Senate-House Nuclear Energy Caucus along with Sen. John Yudichak (D-Luzerne) and Rep. Rob Matzie (D-Beaver). “Despite the fact that Pennsylvania’s nuclear power plants generate 42 percent of our Commonwealth’s electricity and provide 93 percent of the Commonwealth’s zero-carbon electricity, nuclear energy has been excluded from Pennsylvania’s AEPS program. “Unless we address this inequity, Three Mile Island will shut down in October 2019, Beaver Valley will shut down in 2021, and the Commonwealth’s three other nuclear power plants are likely not far behind. “To be clear, this shutdown process is irreversible, thereby guaranteeing the permanent loss of Pennsylvania’s nuclear assets. -- Bring resilience to our grid by reliably operating 24/7 365 days of the year. “Pennsylvania cannot stand by and watch all of these benefits disappear as nuclear power plant after nuclear power plant prematurely retires. “We cannot wait for Washington policymakers and the operator of the regional interstate electric market (PJM) to solve this problem. Both have acknowledged the market is flawed and disadvantages nuclear plants but have yet to act to fix the problem. “It’s time for Pennsylvania to take matters into its own hands and build a bridge to the future while both the federal government and our Commonwealth work to establish a long-term energy policy that includes a variety of sustainable energy sources. “It’s time that we finally acknowledge nuclear generation for its considerable zero-carbon energy production by including it in Pennsylvania’s AEPS program. In so doing, we can ensure that nuclear continues to provide the employment, economic, environmental, and grid resilience benefits for years to come. Click Here for a copy of the Senate memo. Click Here for a copy of the House memo. -- Modify the Alternative Energy Portfolio Standards (or establish a Zero Emission Credit program) to put nuclear generation on equal footing with other zero-emission electric generation resources in Pennsylvania like wind and solar energy. -- Modify AEPS (or establish a ZEC program) with a “safety valve” mechanism that (depending on the outcome of the FERC proceeding) that would allow Pennsylvania to adopt a new capacity construct proposed by FERC that is designed to accommodate state programs to support preferred generation resources. -- Establish a Pennsylvania carbon pricing program. Click Here for a copy of the Nuclear Energy Caucus report.